The Rhone Valley has always been a favorite wine region. 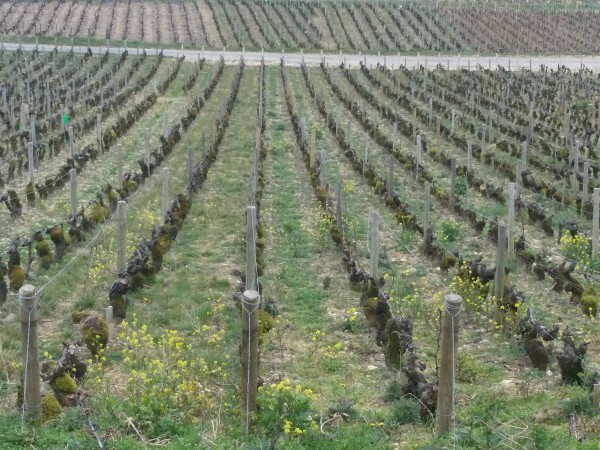 From the mystically delicious Condrieu, to the spectacular Cote-Rotie; from Crozes-hermitage to Chateauneuf du Pape the wines of the Rhone Valley provide endless pleasure to wine drinkers. 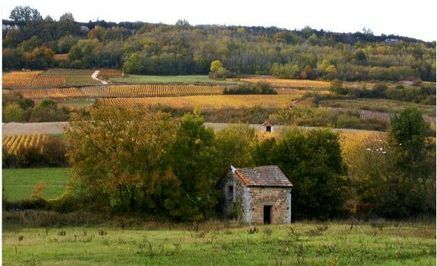 When we started sourcing French wines for Golden Vines, we did so by sourcing wines from a region notorious for being expensive; Burgundy. However, we wanted to be different. We are not interested in sourcing wines for collectors, speculators or investors, but simply for wine lovers. People are often shocked when we bring in Pinot Noir form Burgundy that tastes great and retails for under $25. How about a killer Nebbiolo that will blow most Barolo out of the water, but won’t break the bank! Our job as wine importers is to find the hidden gems. While it is easy to find a great bottle of wine that retails for $50 Ben and Anthony have sourced 150+ wines and 120 of them retail for under $30, the majority under $20! It is with this dedication to price for quality that we started hunting the Rhone Valley for gems. As you can expect we have no Hermitage, but rather a delicious wine from a small organic estate making wine in a tiny village you never heard of. Grignan-les Adhemar is the northernmost wine-growing AOC in the Southern Rhone. 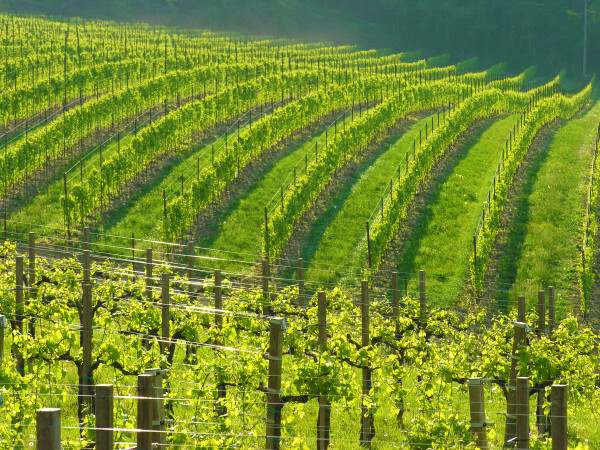 The unique micro-climate, exposition and great soil provides mouth-watering wines at delicious prices. 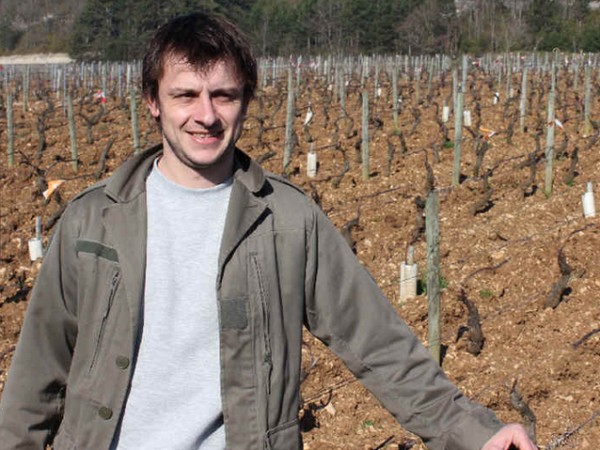 We are pleased and honor to be working with Domaine Serre des vignes. 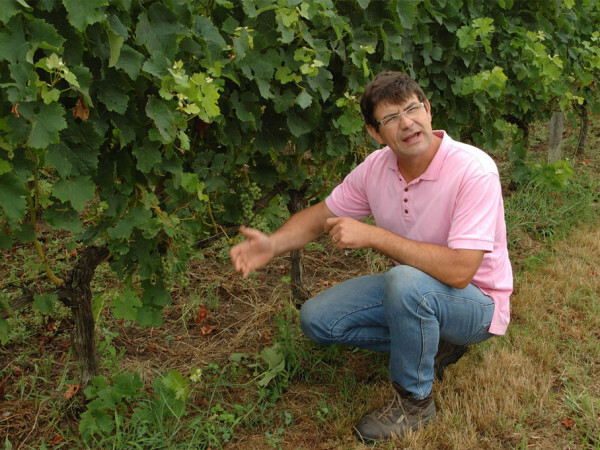 For our next producer, we kept it more traditional, and went with Domaine Roche Audran, a bio dynamic producer located in Buisson. His Cotes du Rhone blend is earthy, well-balanced, with notes of strawberry, fig, and hints of mint and licorice, the long finish has melt in your mouth tannins. We are starting with his Cotes du Rhone that is a classic Syarh Grenache blend, from low-yielding 50-year old vines. We are so grateful and honored, that our project, our dream that is Golden Vines, has enabled us to continue to expand and source new wines from new regions in the unending quest to bring new, interesting wines to the US. Come taste with us this Fall! Come and bring your friends; spread the word and enjoy some very unique wines! We taste all the wines we buy ‘blind.’ And what we mean by that is we do not chase a producer, or winery that got a stellar review by an influential wine critic, or was given a high score by a wine magazine. We hope, of course, that the wines we pick will be well-recieved by the public, and the wine community - but when we taste wines we literally do so with a brown paper bag over the label to make sure we are not being influenced by anything but the quality of the juice in the bottle. Now, with that said we would like to share just a tiny bit of the accolades that have been pouring in for our wines and the restaurants that carry them. We work with two wineries in Piedmont. One of them, L’armangia, cleaned up at SLOW WINE winning top awards for the winery itself and two of its wines. The second one, Bricco Maiolica, won the highest honor, ‘Tre Bicchieri‘ from the prestigious Gambero Rosso. That was not the only ‘Tre Bicchieri‘ winner; our winery in Campania, Contrada, also won the prestigious ‘Tre Bicchieri‘ award. In France, we represent two wineries: Christian Bellang and L’eveil des Sens that earned ‘triple stars’ from the influential French wine review “Le Guiede Hachette des Vins.” In addition, our producer in Sancerre, Reverdy took home gold at the Loire Valley international wine competition, and another Burgundy producer Le Grappin, was revealed as one of the top ten under the radar producers in Burgundy by Wine Searcher. These great wines have not gone unnoticed by the restaurant community. The New York Times recently wrote about the “delicious selection” of food available at La Compagnie des Vis Surnaturels and another piece about Grindhaus ended with a two star review describing the food as “terrific stuff” and yet another restaurant Le Philosophe was a New York Times Critics’ Pick. 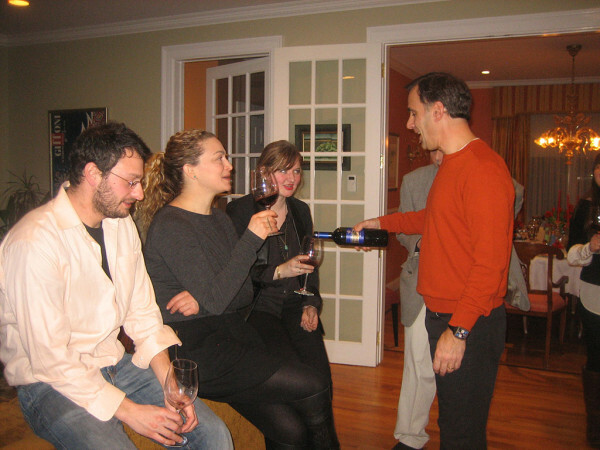 Our wines are poured at New York City’s favorite Italian restaurants Like Frankies Spuntino, Otto, Esca and Barboncino: Restaurants that have had so many positive reviews in so many magazines, they don’t need even the press anymore – as people show their support with their feet as it’s packed most night. Critically acclaimed French Restaurants from Nice Matin to Benoit; from La Mangeoire to Cocotte have all discovered our high-quality wines. We are honored and flattered that we were able to connect these great small-production wineries in France and Italy with great New York restaurants the care deeply about the quality of every item on the menu. Please look at our website for our ever-growing list of restaurants where you can find our wines. If you want to taste some of the wines we have, Anthony will be pouring wines in Brooklyn in August. First, on the 7th he will be at Shawn’s in Park Slope Brooklyn from 5-8pm and then in the afternoon of the 22nd at Heritage Wines on Dekalb Avenue. Please come by and see what all the buzz is about! We are pretty much half way through Spring. Yes, it was literally snowing and 36 degrees in New York just a couple weeks back, but all that is behind us now. Heck, the rest of the week will be rainy and in the 60s AH! New York! 5/29th The icing on the cake: to finish off the month we have an awesome wine dinner at Gleason’s in Peekskill, NY: 4 carefully prepared courses plus a fantastic dessert all paired with a different wine from our portfolio. Please e-mail info@Golden-vines.com for more information and to book your seat! Although we love wines from all regions; Anthony and Ben jokingly compete to see which country has better wines France or Italy. However, one thing is universally true; Ben and Anthony and almost everyone in the wine world can agree: Italian wines are food wines. More than any other country Italian wines go very well with food. Why is it so? Italian wines, historically, have been made to go with food. One would not think of having a delicious Italian dinner and not drinking a glass of wine. Italian wines *generally have a lot less new oak than wines from the USA and even France. This most likely explains why butter is to the French what Olive oil is to Italians. The other reason is acidity. When pairing wine with food the most important element that a wine must have is acidity and since Italian reds typically have great, crisp acidity they will compliment the Italian food and not overwhelm it. There are plenty of Italian whites that also have great acidity like our great Sauvignon from the Veneto, but there are also whites than can be described as nutty, bitter and even a touch spicy -like our Greco di Tufo, making the white almost chewy, complex and an excellent compliment to food. Please join us this evening for a free wine tasting at Wine Gems; located at 495 New Rochelle Road, in Bronxville, NY. We will be pouring some gems from Italy and France from 5.30-7.30.. Hope to see you there! Please join us this Thursday as we pour wines from France and Italy at one of our favorite wine shops - Dandelion Wine located at 153 Franklin street in Greenpoint, Brooklyn. We try to tell everyone how important the importer is — turn over the bottle and look to see who is brining that wine in, we often say. If it’s a quality importer like Golden Vines even if you have never tried the wine before you can rest-assured the wine inside is good. But hélas that is just an importer’s opinion. In reality, the easiest way to find a good wine is to simply shop at a great wine shop. A great wine shop provides first and foremost a great selection of wine, a knowledgeable staff, and a comfortable no-pressue, no pretension environment. Dandelion wine is truly a great wine store. The buyers there taste wines from hundreds of importers and pick the best ones. Although all the wines in our portfolio are great Dandelion really carries some gems, some of our personal favorites – the best of the best if you will. Please join us this Thursday 6-9pm as we open some great, limited-production artisanal wine. 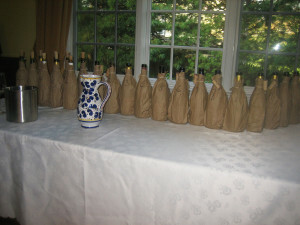 Keeping our fingers crossed that we will have wines for sale by late April. We are waiting for the labels to be approved. Stay tuned.